Do you want to take your membership in the NCA to the next level? If you meet the following qualifications, we invite you to participate in this mentoring session. Is a member of the NCA in good standing. Individual has attended at least one NCA webinar OR has attended an NCA Conference in its entirety or has proof of graduation from a customer service or hospitality industry training program. Individual has provable records of 2+ years of consecutive excellence in Concierge services he or she personally provides in the form of client thank you letters, recommendation letters from employer or busi-ness associate and two from NCA Certified Concierges. 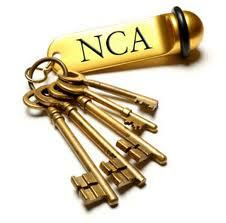 Is an affiliate member of the NCA in good standing. Affiliated business supports the concierge community by offering goods and services that are in line with the NCA and its' vision. Endorsed Partnership is awarded to the business not to the member. We look forward in welcoming you. Connecting Concierges of all types and hospitality partners since 1998, our founding principle is to provide unlimited and unparalleled networking and educational opportunities to every member as well as to promote the Concierge profession worldwide.